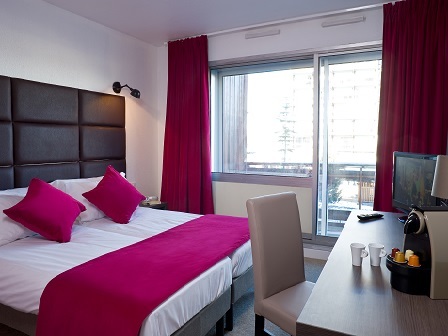 Our view: Exceptional value hotel which you don't find very often in Courchevel 1850! 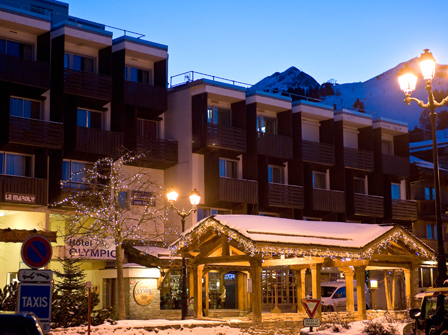 If you are looking for good value accommodation in an exceptional location, then the Hotel Olympic is for you. 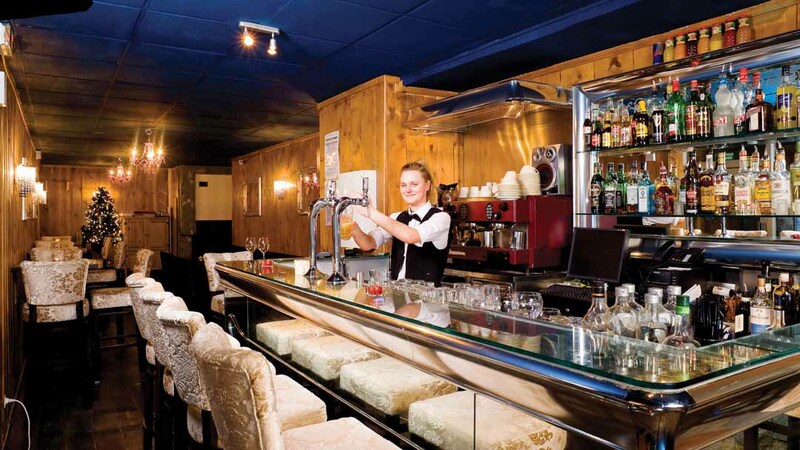 Situated in the heart of Courchevel 1850, the hotel is just 300m from the nearest lifts and resort centre allowing you to be the first on the slopes in the morning and first in the bar on the evening! All rooms have a TV. Both standard and superior rooms are available with a choice of mountain view or no view, although mountain view may be partially obscured. Standard double room - sleeps 1-2: Double bed, private bath, WC and balcony. 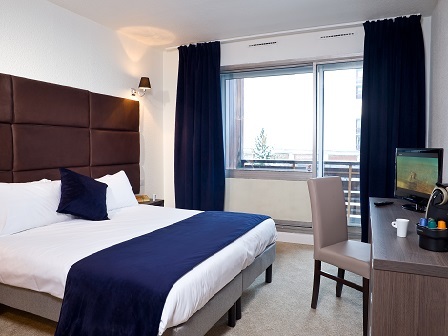 Standard twin room - sleeps 1-2: Twin beds, private bath, WC and balcony. 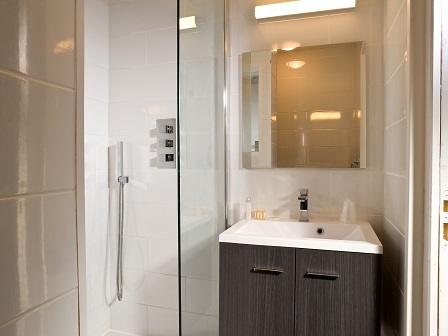 Superior double room - sleeps 1-2: Superior room with double bed, private bath, WC and balcony. Superior twin room - sleeps 1-2: Superior room with twin beds, private bath, WC and balcony. Superior triple room - sleeps 2-3: Double bed, single bed, private bath, WC and balcony.